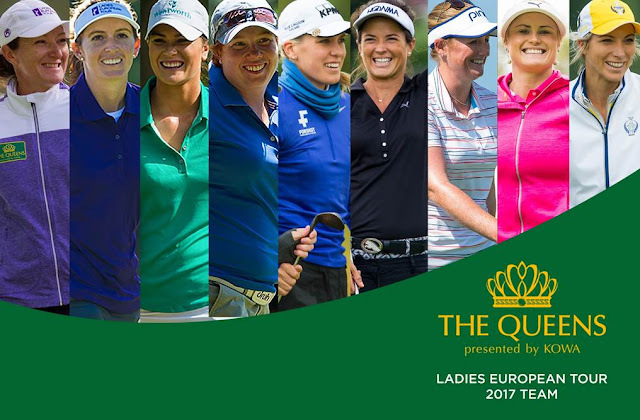 The Ladies European Tour team for The Queens presented by Kowa has been announced, to take place on December 1-3, 2017, at Miyoshi Country Club near Nagoya in Japan, for the third successive year. Playing captain Gwladys Nocera will be joined by Melissa Reid, Florentyna Parker, Annabel Dimmock, Felicity Johnson, Olafia Kristinsdottir, Joanna Klatten, Holly Clyburn and Carly Booth against teams from the LPGA of Japan (JLPGA), Korean LPGA Tour (KLPGA) and Australian Ladies Professional Golf Inc. (ALPG). Nocera, a 14-time winner on the Ladies European Tour, commented: “I cannot wait to return to Miyoshi Country Club for The Queens presented by Kowa. Having competed on the LET team in 2015, I can tell you that this is one of the most thrilling events in women’s professional golf. The Queens presented by Kowa is a three-day match play event featuring four teams of nine players. Each team shall be allocated points in accordance with its respective match results, with 2 points for a win, 1 point for a half and 0 points for a loss. Based on the points’ totals from the first two days, the third day’s play will see “The Championship Final” contested by the first and second placed teams over four foursome matches, as well as the “Third place final” between the third and fourth placed teams, played over four foursome matches. There has been a modification to the order of play this year, with the singles matches being played on the second day, rather than the third day and foursomes on the third day, rather than the first. In 2015, the LPGA of Japan team won the inaugural competition and the Korean LPGA team will be the defending champions having won the event in 2016.